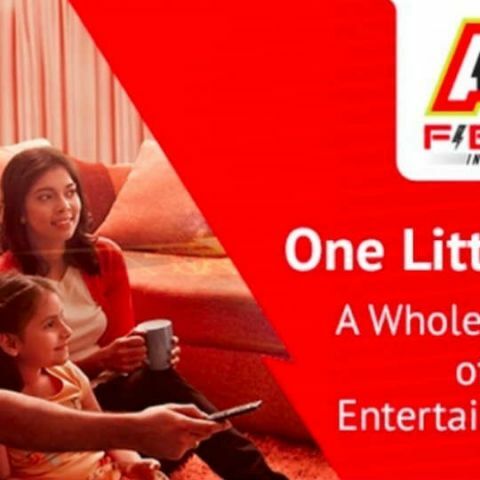 ACT Fibernet is currently teasing the new streaming service which could come in the form of an Android streaming box with an HDMI or USB TV connector. The company is also sending out emails for ACTTV+ trial programme. ACT Fibernet, an Indian ISP which has its fiber broadband footprint in 12 cities, is reportedly testing its own streaming service named ACTTV+. ACT Fiber currently provides fiber to home services with a maximum of 1Gbps speeds. ACT was the first ISP to provide Gigabit broadband connectivity in India and looks like the company is hoping to bundle the same with its upcoming streaming service. As per reports, ACT Fiber’s ACTTV+ streaming service will be accessible through an Android-based streaming box which will connect to a TV using HDMI or USB, similar to other streaming devices such as Amazon’s Fire Stick and Google’s Chromecast. ACTTV+ is expected to launch with a host of streaming services such as YouTube, HOOQ, AltBalaji and more. Names like Netflix and Amazon Prime Video have been left out of the report and the two streaming services might not be present on the new ACTTV+ streaming box. Other information such as pricing, availability and launch offers for the ACTTV+ streaming service are not yet known. Anybody know where is blackberry service center in India ?